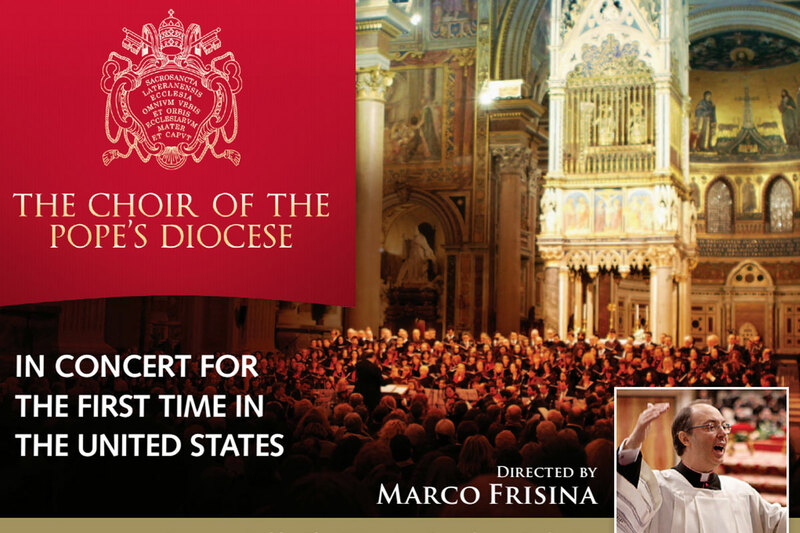 The Choir of the Pope’s Dioceses: Major exposure for major events. Planning the entire suite of services for concerts, conferences, happenings, and special events, with major media results. Pictured: The Choir of the Pope’s Diocese concert with 50 elements from Rome, a U.S Orchestra, and the official Composer of the Vatican. Year: 2011.